Posted on April 7, 2014 . 2 comments. 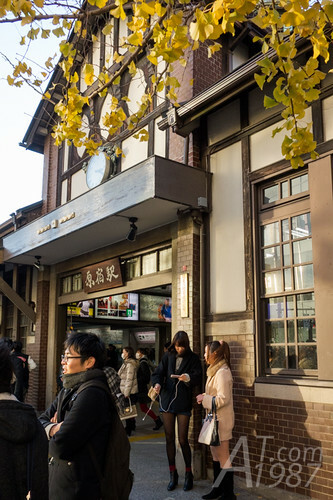 In the last post I left Shibuya station and went to Harajuku station. 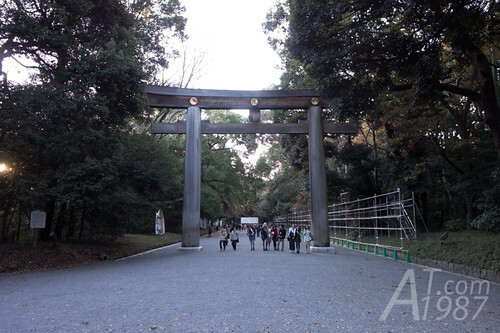 My target was Meiji Shrine where is a shrine dedicated to the deified spirits of Emperor Meiji and his consort. It’s very easy to go. 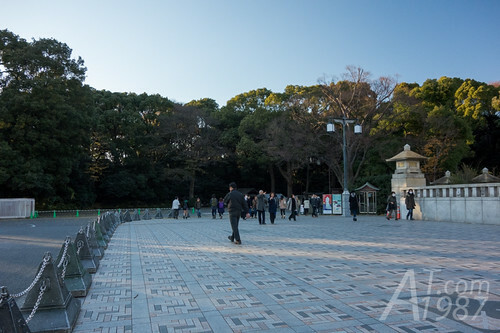 Just take JR Yamanote line and get off at Harajuku station. 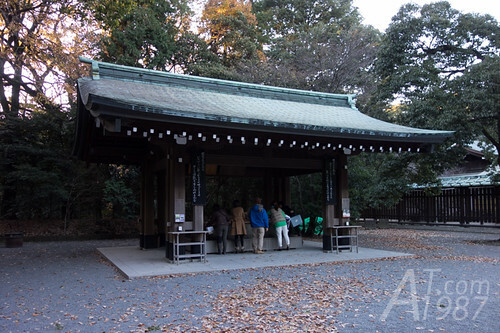 Then walk from the station to the shrine about 2 – 5 minutes. 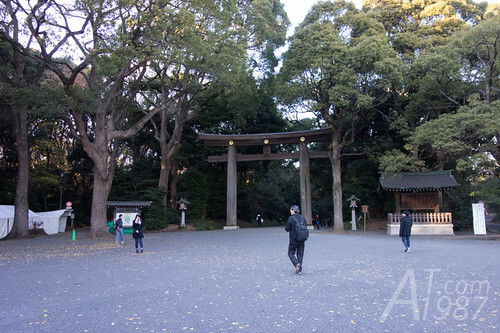 Or If you take Tokyo Metro train, you can get off at Meiji-Jingumae staion where is in front of the shrine. It’s time for a long walk ! Since the way is crushed rock. It’s a good idea to wear your best fit and strong shoes. 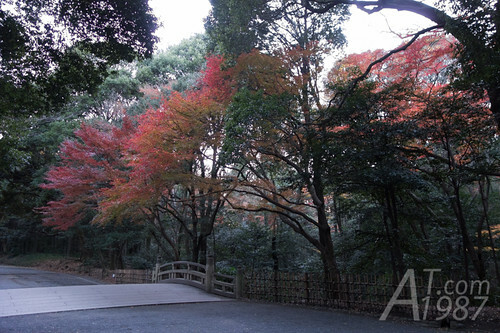 When passing the torii in the front. It’s like I was in the silent forest. Although I was in the busy town before. 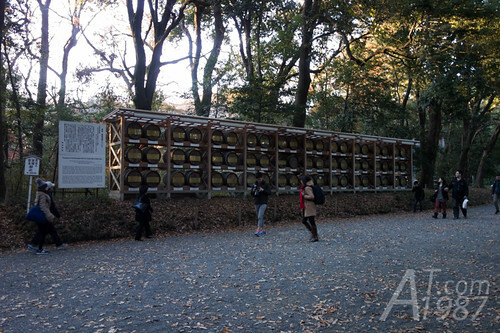 The barrels of wine were donated to the shrine. 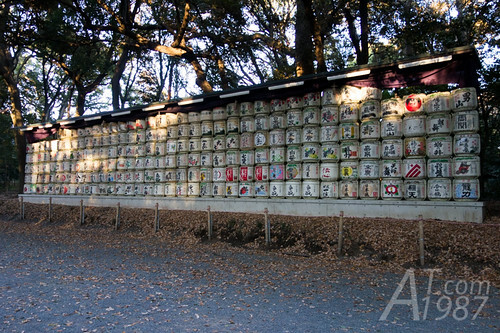 On the opposite side is the donated barrels of sake. 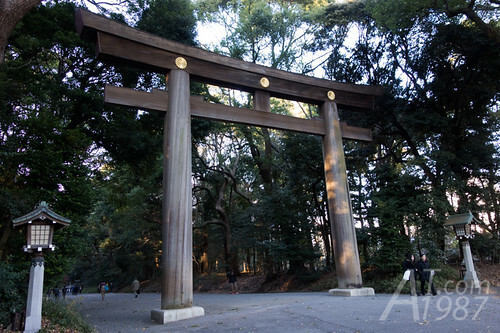 Found another torii. 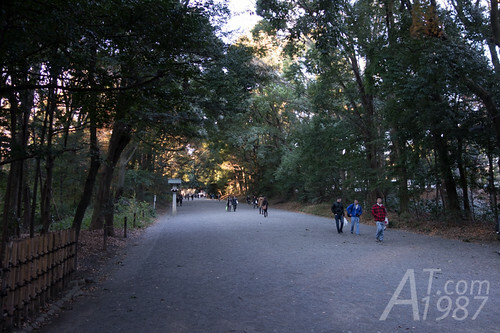 There’re information boards about Meiji Shrine history on the side of this section road. Main building’s on my sight. Before enter the main building. 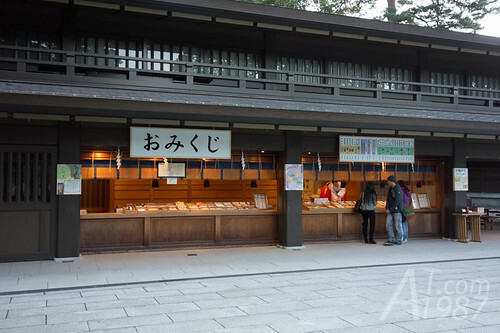 You need the clean your hands at Temizuya first. 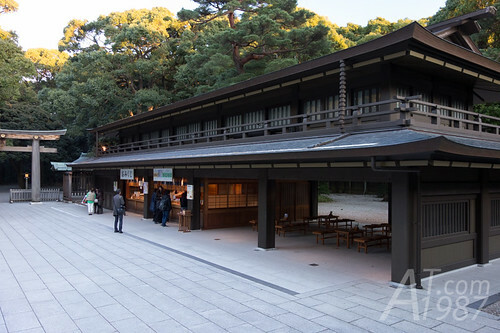 There are several buildings in the main building area such as amulet office, shukueisha, etc. 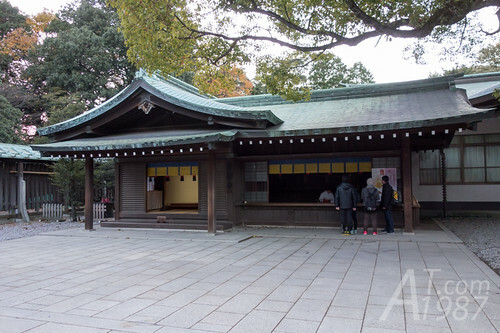 Here’s the front of main shrine building . 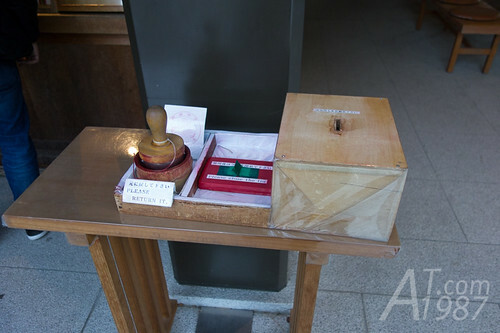 You can put the coin in the offering box and pay respect here. 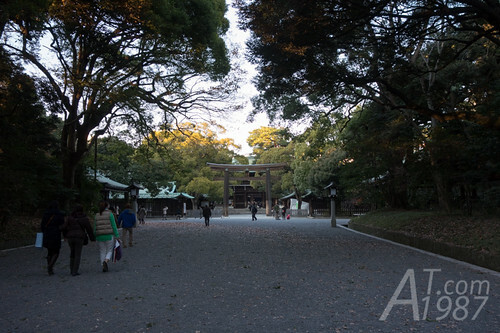 Please note that you can’t take a photo at the main shrine building. 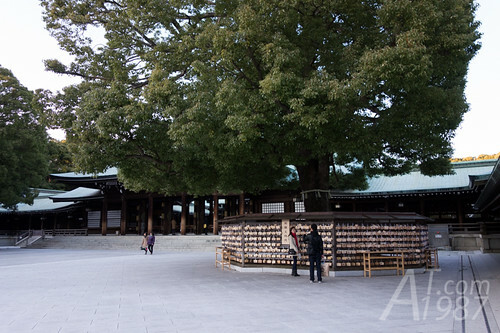 The large tree on the right is the place where people hang their prayers. After I finished paying respect. 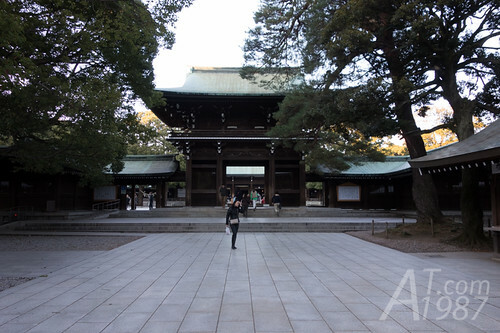 The policemen began patrol around the area because the shrine’s almost closed. I went to amulet office for getting the stamp on my leaflet. Although the ink is available. The rubber stamp is used too much so the picture created by it isn’t sharp. I also bought some amulets for myself and my family. The shrine maidens are young and very cute. I learnt when I came back to my country that amulets can be used for a year then they need to be return to the shrine. If you don’t like stamp on the leaflet, you can get hand printed seal instead for a fee at shukueisha. I walked back to the station. There weren’t much people at that time so it’s very easy to take a photo without them. The front gate had already closed. I had to ask the policeman to open it for me. I like how the police tell the visitors that it’s a close time. They don’t chase them and tell that it’s closed and you must leave. Policemen only warn them that it’s closed time and let them doing their business for a while. 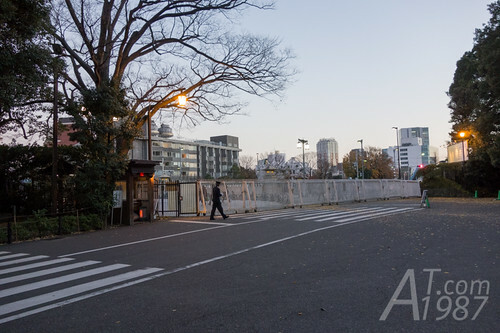 Next time I will write about the Christmas events in Roppongi. Please look forward to it.